A profile of Libya's leader, and a look at the lives of his sons and daughters. Moammar Gadhafi was born into a Bedouin family on June 7, 1942. As a teenager, he was deeply involved in political action, having participated in anti-Israel demonstrations during the Suez Crisis. His thirst for power began while he was attending military college in Greece, where he started making plans to overthrow the Libyan monarchy, led by King Idris I. On Sept. 1, 1969, while Idris was in Turkey, Gadhafi led a small group of junior military officers in a bloodless coup and overthrew the king, establishing the Libyan Arab Republic and installing himself as Leader and Guide of the Revolution. An admirer of Argentine-born revolutionary Che Guevara, Gadhafi offered aid for others who shared his anti-imperialist, anti-Western views. With Libya's oil fortunes, he was able to help fund numerous African coups, including those led by Uganda's Idi Amin and Liberia's Charles Taylor. Taking his cue from Mao's Little Red Book, Gadhafi published his Green Book in 1975, outlining the tenets of his political ideology, which he termed Islamic Socialism. Throughout the 1970s and 1980s, Ghadafi's name became synonymous with international terrorism. He was a major financial backer of the Black September Movement (responsible for the attacks at the Munich Olympics in 1972 and infamously claimed responsibility for the 1986 Berlin discotheque bombing), the 1988 bombing of a Pan Am aircraft over Lockerbie, Scotland, and the 1989 bombing of a French aircraft over Niger. His refusal to allow the extradition to the U.S. and Britain of two Libyan nationals involved in the Lockerbie bombing led to severe economic sanctions for Libya. In 2003, Gadhafi made significant steps to warm up his relationship with the West, agreeing to compensate victims of Libyan-sponsored terrorism and allowing UN investigators into his country to examine and dismantle any weapons of mass destruction. Much of his conventional arsenal was originally purchased from NATO powers, from which he has acquired an estimated $10 billion in arms since his rise to power. Since 2003, Gadhafi has made further efforts to improve his image in the West, including welcoming dignitaries such as former British Prime Minister Tony Blair and former U.S. Secretary of State Condoleezza Rice. On his first-ever visit to the United States, Gadhafi even made a speech to the UN General Assembly in 2009, although he was widely criticized for his rambling. He has, however, consistently maintained a strict stance against those he deems to be "enemies" of his revolution and has advocated for their death. As part of the international sanctions instituted against him following the onset of the Libyan uprising in February 2011, the United States froze his American-based assets. Gadhafi had at least $29.7 billion in various U.S. banks at the time, according to reports. The International Criminal Court (ICC) issued an arrest warrant for Gadhafi on June 27. The Libyan leader is accused of orchestrating the killing, wounding, arrest and imprisonment of hundreds of civilians during the first 12 days of the popular uprising against his regime that began in February. He is also accused of trying to cover up the alleged crimes. Gadhafi was elected chairman of the African Union in 2009 and has pledged to work towards what he calls a United States of Africa. He has also used Libya's vast oil fortunes to send aid to countries torn apart by famine and civil war, including Sudan, Ethiopia and Somalia. Seif al-Islam Gadhafi was born on June 25, 1972 in Tripoli and is the second son of Moammar Gadhafi. Seif al-Islam Gadhafi. 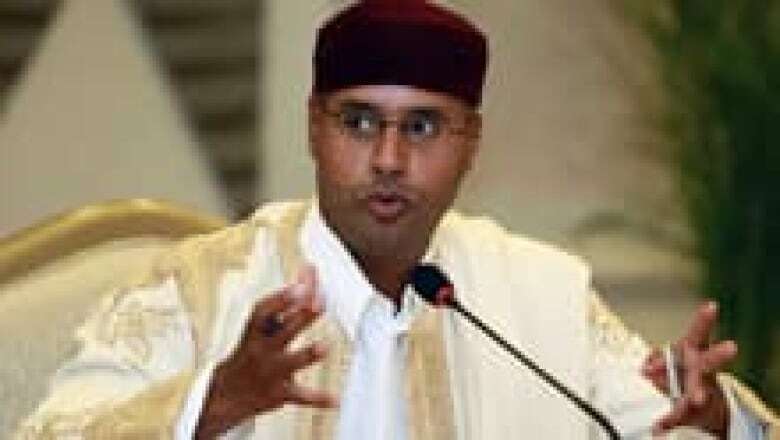 ((Abdel Magid Al Fergany/AP))In 1997, while studying to earn his MBA at a university in Vienna, he established the Gadhafi International Foundation for Charity Associations. The GIFCA has been involved in hostage negotiations involving Islamic militants and purports to promote the values of democratic reform. The NGO is also involved with the Libyan National Society for Drug Control, of which Seif is president. Seif graduated with a PhD in 2008 from the London School of Economics. He has been involved in the Libyan politics for some time and was widely seen as the voice of reform in his father's ear. While studying in London in 2003, he was said to have approached the MI6 to alert them of his father's weapons of mass destruction, leading to discussions to have them dismantled. He has been instrumental in achieving compensation from Italy, Libya's former colonial ruler, as well as helping victims of both Libyan-sponsored air attacks in their fight for compensation. He has, however, also maintained the innocence of the seven Libyans convicted in each case and was involved in talks leading to the 2009 release of Abdelbaset al-Megrahi, who had been convicted in the Lockerbie attack. In a 2004 interview with the Globe and Mail, Seif asked for an apology from the Canadian government for participating in past economic sanctions against Libya and for being denied a visa to study in Canada in 1997. At the same time, they issued the arrest warrant for his father, the ICC issued a similar warrant for Seif. Moammar Gadhafi is currently married to second wife Safia Farkash and has eight biological children, seven of whom were with Farkash. His first son, Muhammad Gadhafi, is the head of the Libyan Olympic Committee. Third son, Saadi Gadhafi, runs the Libyan Football Federation. 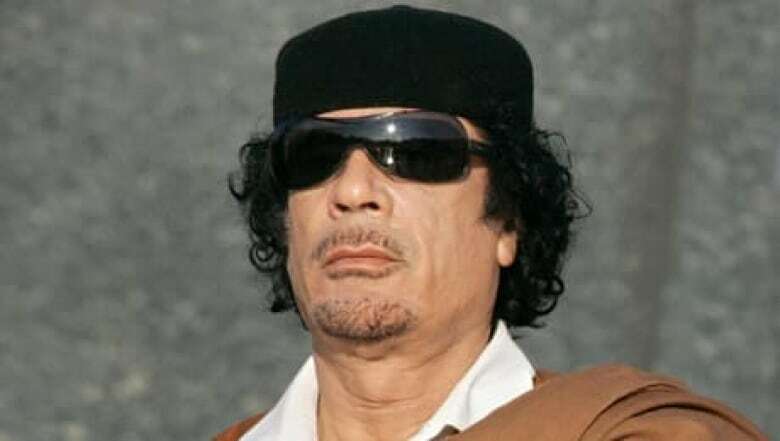 Hannibal Gadhafi has made numerous headlines across Europe for his erratic and violent behaviour. He attacked three Italian policemen with a fire extinguisher in 2001; he was detained in 2004 after he was stopped in his Porsche for speeding while intoxicated and traveling in the wrong direction on the Champs-Elysees in Paris; in 2005, he was given a four-month suspended prison sentence after he beat his then-girlfriend, now wife, Aline Skaf. Hannibal and his wife were arrested in Geneva in 2008 for assaulting two of their staff members. This incident kicked off a series of Libyan sanctions against Switzerland, including the recalling of their diplomats from Bern and the forced-closing of Swiss-run company offices in Libya. Moammar Gadhafi's daughter, Aisha Gadhafi, a lawyer, in 2004 joined Saddam Hussein's legal defence team. She was also involved in the defence of journalist Muntadhar al-Zaidi, after he threw his shoes at President George W. Bush during a press conference in Baghdad. Mutassim Gadhafi, his fifth son, is currently Libya's National Security Advisor. He visited Washington in 2009 to meet with Secretary of State Hilary Clinton, representing the highest-level diplomatic meeting between the two nations since their relations were renewed in the years prior. Mutassim is also accused by some of being linked to the death in a Libyan prison of Ibn Al Sheikh Al Libi, a former CIA captive who, under torture, confessed to involvement with weapons of mass destruction in Iraq. Gadhafi's youngest son, Khamis, commands the Libyan Army's elite Khamis Brigade. His son Seif al-Arab Gadhafi was killed in a NATO bombing on April 30. Gadhafi's adopted daughter Hanna was killed during the United States' bombing campaign of Libya in 1986.